This book is a very interesting read! It is a book that will capture the reader’s attention from the beginning to the end. Many of us have a difficult time to follow Jesus through all the storms of our lives. Through the stories contained in this book, the author shows us how to do that, one story at a time. Leslie Leyland Fields is a fisherwoman in real life. So, she knows so much about the waters, especially around Alaska. It would be a cold place to fish, but very picturesque, I bet! The gospels are quite dramatic, wild and wet. They are set in a rich maritime culture on the shores of the Sea of Galilee. We must remember that Jesus’ first disciples were fishermen. I had no idea that this may be the reason why there are so many references to fishermen in the gospels. Many of Jesus’ miracles and messages focus around water, fish, fishermen, net-breaking catches, sea crossings, boat-sinking storms, and even a walk on the water. This world seems so foreign to us, even true Christians and Catholics. We have therefore missed much about the disciples’ experiences and about following Jesus. There was a huge gap there and now they are filled in with this wonderful book! 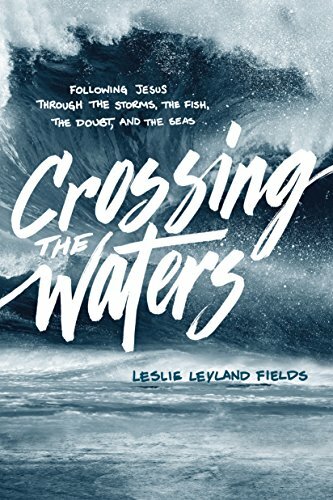 Leslie Leyland Fields crosses a lot of historic time and history to take us out on the Sea of Galilee and through a rugged season of fishing with her family in Alaska and also through the waters of the New Testament! I received this book compliments of Tyndale Publishers Ltd.